SARASOTA, Fla. — On a busy main street in Sarasota, federal investigators say the owners of Age Vital pharmacy received more than $37,000 in illegal medical reimbursements for filling bogus pain cream prescriptions for a patient who didn’t need or want it. That patient blew the whistle. “We had nurses in the southeast part of the United States who were writing prescriptions for patients for pain creams who resided in the northeast part of the United States,” explained Special Agent Ryan Lynch. Lynch leads Tampa’s Medicare Fraud Strike Force Team, one of 13 federal teams stationed around the country who are dedicated to combating Medicare fraud in the United States. Age Vital describes itself online as a compounding, research and wellness institute. According to the federal civil complaint, the company was accused of violating the False Claims Act by engaging an in illegal kickback scheme. 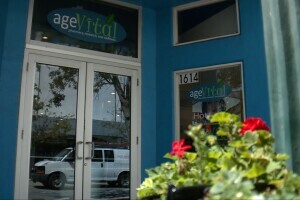 But, Age Vital's owners deny they knowingly did anything wrong. Prosecutors never criminally charged them. In a lengthy email to us, it’s owner, Jenny Wilkins, blames a New Jersey clinic for calling patients to boost business and the New Jersey nurse who signed prescriptions for the cream. “As soon as Age Vital became aware, it ceased all relationships in 2015,” Wilkins told us in an email. Wilkins did not respond to multiple requests for an on-camera interview. This past February, the case against Age Vital ended in a civil settlement. It’s owners agreed to pay at least $775,000 to resolve the allegations. 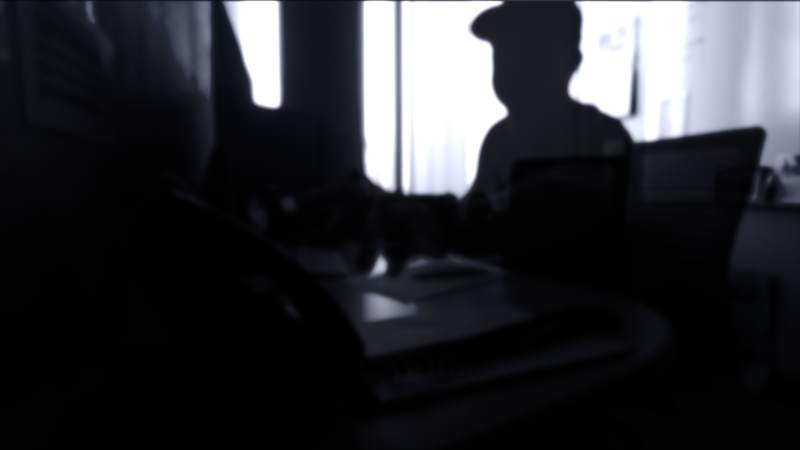 But to federal investigators in Florida, the case against Age Vital was one of the first to introduce them to what has become a rapidly exploding type of fraud. A medical supply company pitches Medicare patients medical supplies the patient doesn’t need or want. The same company will also hire doctors who have no relationship with the patient, but are willing to rubber stamp prescriptions for those supplies — up to $150 per signature. Patients get the goods and taxpayers foot the bill. What used to be shipments of unwanted pain creams and gels have evolved to durable medical equipment (DME) like back braces and diabetic supplies, investigators say. Last year, Bernadette Kopacz’s mother-in-law in Vero Beach received three boxes of body braces from three different medical supply companies. “There was a shoulder brace, calf brace, foot brace another had a back brace. It was insane,” said Kopacz. Another company sent Terry Coombs of Brandenton a back brace. “I mean, they just wouldn’t leave me alone,” he told us back in the fall when we first started reporting on the nationwide scam. Shantell Williams of Tampa got the calls and, eventually, a box of diabetic supplies she didn’t want, need or ask for. “I told the first person, I don’t want your supplies,” she said. 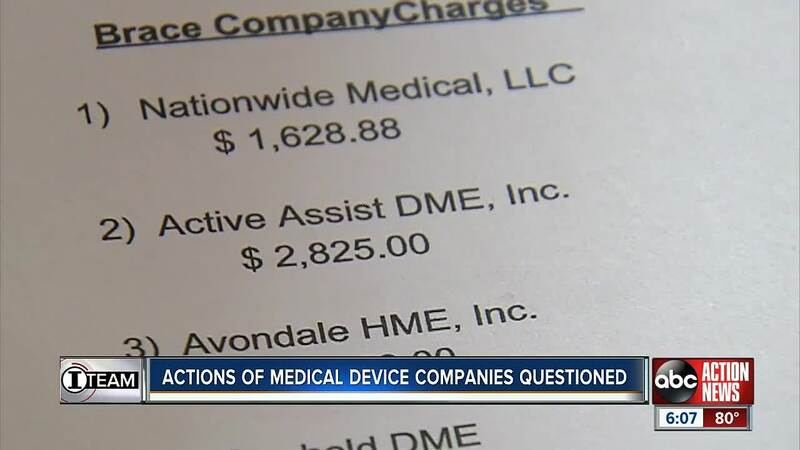 "We used to have a joke in the office, calling people robocop because we sold them so many products," said Cody Fletcher, a former telemarketer for a now-defunct medical device company in Delray Beach. "We would pay anywhere from $45 to $55 a back brace. 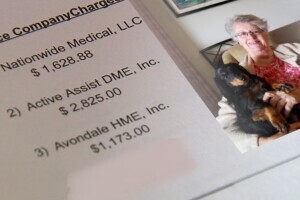 Medicare reimbursements were a grand," said Daniel Yarbrough who also worked for the company. 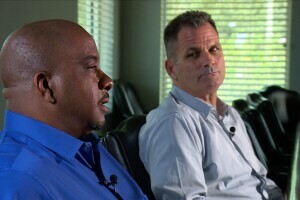 Both filed a Whistleblower lawsuit against the company for committing fraud. 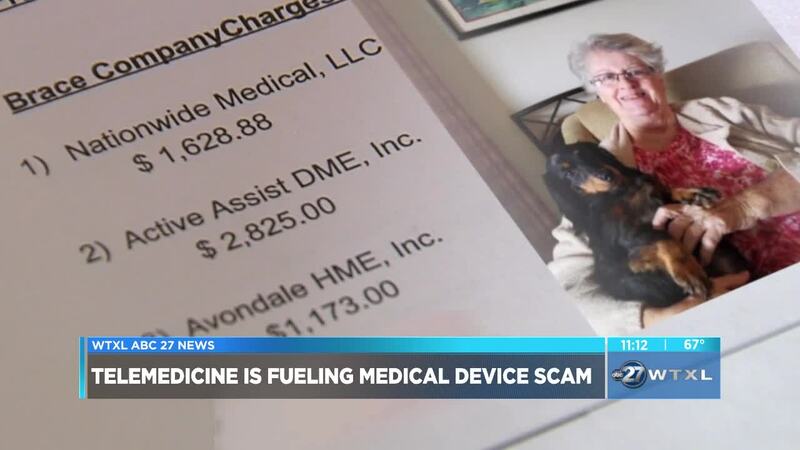 Federal investigators believe medical device fraud using telemedicine is next chapter over the age-old scheme. "Over time we've realized we're not dealing with medication that's unnecessary, we're dealing with the absence of medicine completely," said Special Agent Lynch. Investigators say the best way to protect yourself is not to reveal any medical history over the phone to someone you don’t know. Also, report companies that call or send you unwanted medical products. Click here to report fraud or file a complaint with the U.S. Department of Health and Human Services Office of Inspector General.